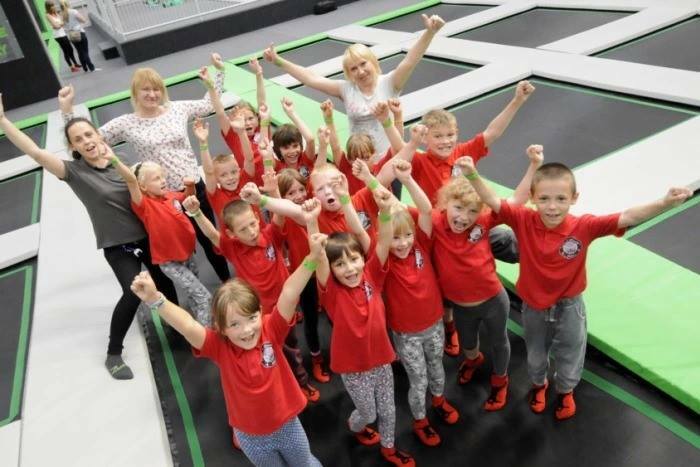 We were recently contacted by the Magull & Ormskirk Friends of Chernobyl Children (FOCC M&O) who were looking to bring around 20 children down to the park on their visit to the UK. The charity is in relation to the catastrophic nuclear event in Pripyat, Ukraine in 1986, which released a huge amount of radioactive particles into the atmosphere condemning the country’s people to live in an environment which causes serious health problems for hundreds of years. The children were visiting the UK and being treated to a number of activities, health checks and even had the chance to visit Everton FC. The visit to Ascent took place on 23rd June 2016. We were very happy to accommodate the booking organised by charity co-ordinator Danii Wholer. On the day Event Co-ordinator Anji Law and Head Marshal Jordan King were on hand to deliver the safety video before the children took on the Ninja Assault course, battled it out on the gladiator beams, challenged themselves to bounce on every trampoline in the park before starting a huge trampoline conga line! The children were then treated to a post-bounce meal before they insisted on going back on the trampolines!